Still working hard on my Christmas cards and today's card is a most unusual color....but I like it. 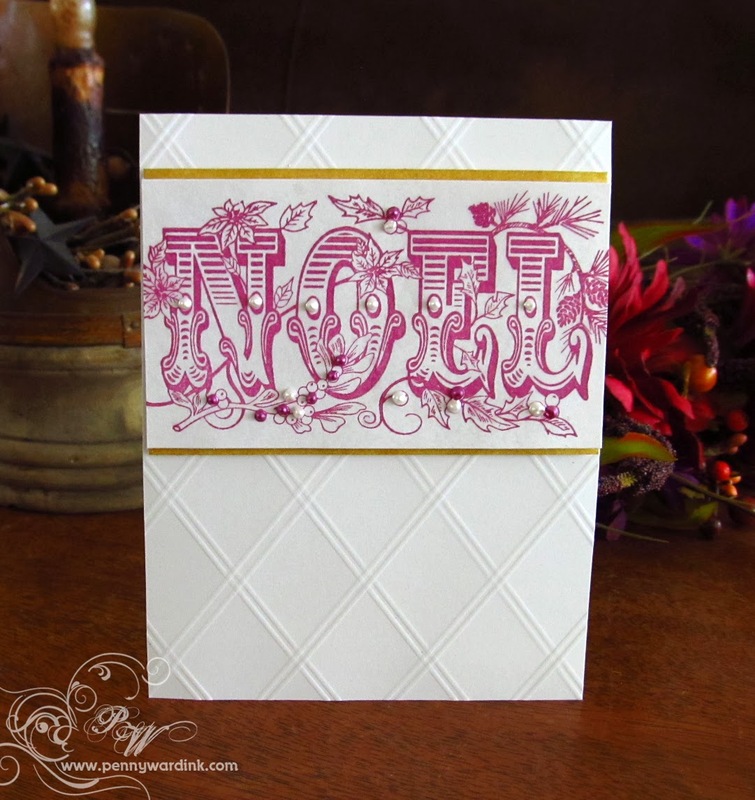 Are you loving this large intricate Noel stamp? (shhh..it's on sale this week at Penny Black, but only if you are a member of the Club). Click on the banner below, fill out your info and you will receive a special email on November 8th so you can shop to your hearts delight. On the base card I scored diagonal lines with my Scor-Buddy. I stamped Antique Noel with Memento Lilac Posies Luxe ink on a large scrap of white card stock. Added two thin strips of card stock inked with Delicata Golden Glitz to the top and bottom of the Noel panel, then popped the whole thing up with foam adhesive. What would one of my creations be without Liquid Pearls????? Beautiful! This stamp is so detailed it stand on its own so nicely! The pearls are the perfect touch! 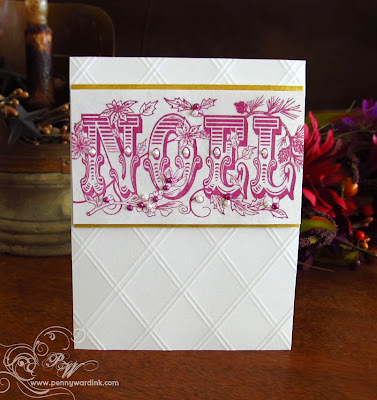 That Noel stamp is a perfect focal point, but the details you added make the card! The scoring adds elegance. And indeed, the liquid pearls are the perfect finsihing touch. 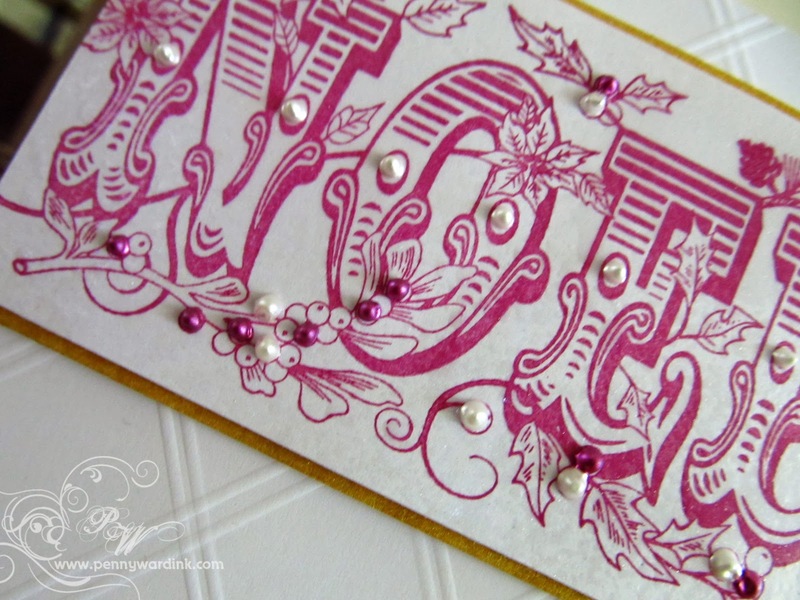 Wonderful use of that incredible stamp, Penny!